Moving Of The War Memorial - a Memory of Banstead. Note in this photo that the war memorial has been moved back and the wall lowered. Flats have been built on the Banstead house site. You could always see the green houses over the high wall from the top of the 164a bus. 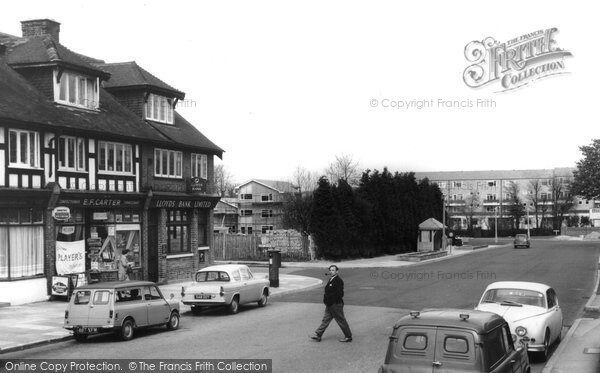 The corner shop, which I think used to be a bakery (top left) has gone and the road widened. The bus always used to mount the curb on this corner when turning towards the downs and Greenacre school roundabout.